Please contact me regarding the 2018 Freightliner 122SD - Stock# JDJT8778 for sale at TruckerToTrucker.com. 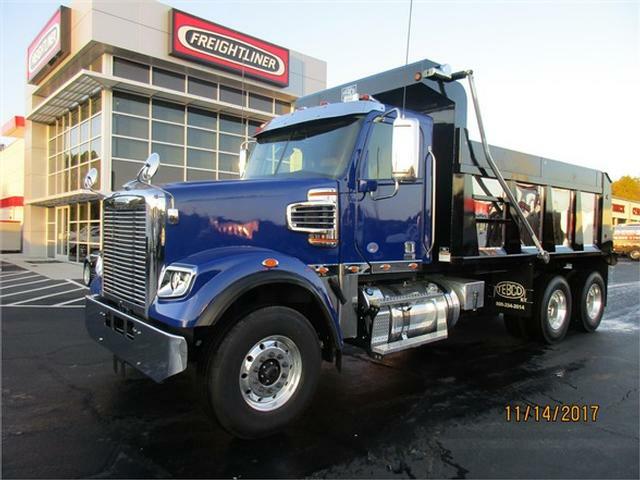 Take a look at this 2018 Freightliner 122SD. It is Stock# JDJT8778 at TruckerToTrucker.com. Just In Brand New 122SD Dumps! Allison 4500RDS Transmission! Trucks are Loaded with Features!! Polished Aluminum Wheels! Polished DEF Cover! Stainless Visor! 46,000# Tuff-Trac Suspension! Chromed Bumper! Tow Hooks! Chromed Grill! LED accent and Marker Lights! Bright Finished Heated Mirrors! Signature Trim! AM/FM/CD/Bluetooth! Polished Insulation Panels! 16' Tebco Dump Body! Slant Gate! Very Sharp Well Spec'd Trucks! Warranty and Financing Available! Don't Miss out! Call Today!